GA-22 is our new GPS antenna designed for AMEC AIS products. It can also be a replacement for other navigational devices. 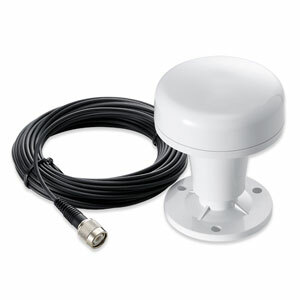 The GPS antenna is engineered to meet rigorous demands of marine environment. It is tested with AMEC AIS transponders and has passed all relevant environmental tests. Its UV resistant enclosure is IP67 waterproof. The built-in high performance LNA (low noise amplifier) ensures excellent sensitivity.